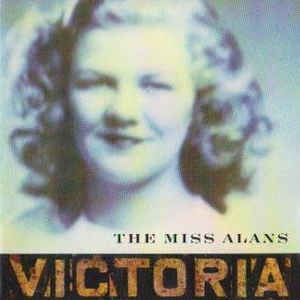 Oh yeah, “Victoria.” While it’s only my second favorite song on Blusher, it’s probably a contender for the greatest song The Miss Alans ever did. How in the hell “Victoria” didn’t totally and completely take over alternative rock playlists in 1994 is still beyond me. Except, of course, for all of its charms, it really was’t a radio-friendly single: there was no chorus, and of course the entire last minute of the song was an instrumental rave-up and rave-down, featuring no vocals whatsoever. Hell, even “Marquee Moon” featured one last verse at the end. That said, the version of “Victoria” that ended up on Blusher remains an marvelous gem of a psychedelic rock song: half Television and half the Velvet Underground, while remaining entirely The Miss Alans. Not to mention an absolute crowd-pleaser live, where the rave-up part went a full minute longer, because why the hell not? Before we even get to that first verse, we’ve already had Ron Wood’s cantering beat leading the rest of the band into the song, featuring a hook from Manny Diez that effortlessly winds its way around itself, and opens up enough space for him to comment on the lyrics as Scott sings them. “Victoria” isn’t so much about aging — I mean, of course it is — but rather a cautionary tale about being so into your own looks as the source of your self-worth that as you get older and those looks fade, you end up not having any self-worth at all. It’s also written in the first-person plural (“and so did we“), like Scott’s speaking for the entire band, a rarity for any Miss Alans song, and even if it’s just an authorial affectation, that plus the overdubbed vocals gives at least the illusion that it’s the entire band singing together on what kinda sorta passes as the chorus but really isn’t. I mean, it’s totally and completely irrestible, those repeated “Victorias” as Manny picks up the leads and then spirals off into the distance, quietly circling back for the last verse. And then with Manny warming up for the coda — doing corkscrew stretching exercises, as it were — one last half-verse. And with that, Ron Woods switches from a canter to a gallop, and the Miss Alans are off on an unexpected rave-up. Manny is utter fire, at first shooting off notes every which way, and then finding the hurricane of notes he wants to ride, going faster and faster and faster, until Ron slows them all down with a roll, and gently lays “Victoria” to rest. Except, of course, by 1994 everything was changing back to normal, and the circumstances wherein artists Matthew Sweet and Belly and the Breeders could have hits were long gone, slammed shut by Kurt Cobain’s suicide and the rise of bands like Live, Stone Temple Pilots and Bush. Maybe if there had been a video, of course, but the Miss Alans were in a weird catch-22 position: they needed more of a push from the label while the label was making for them to make a splash on their own before giving them any kind of push. And at the same time, Zoo Entertainment was going through a BMG-mandated restructure and the Miss Alans ended up with an A&R person who was different from the one who signed them, which is never helpful for any artist, and no doubt contributed to what happened next.